In 2015 a new appearance in canaries – currently named NERO PERLA was discovered by the breeder Carlo Maria Nobili in Monza/Italy. 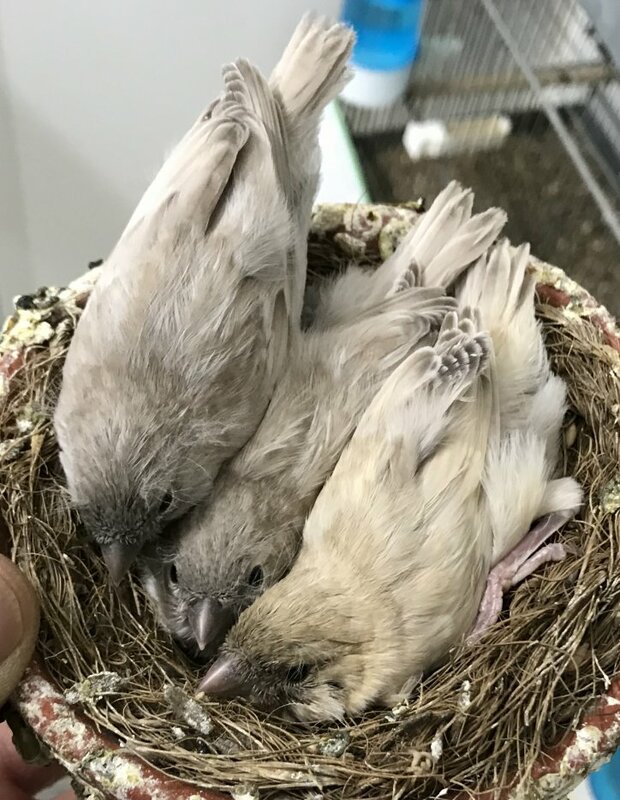 From the pairing of a White Dominant Onyx canary & a White Dominant Black canary the breeder C. M. Nobili noticed a phenomenal result in the first clutch. Another phenomenon was that both parents are from in the ground colour white dominant, but in this case a Lethal-Factor was not discovered. All offsprings are White dominant in ground colour with a good health, the best preconditions to start a controlled breeding in the next breeding season. And finally after the following breeding seasons 2016 & 2017 C. M. Nobili was able to prove that “Nero Perla” is a real mutation with an autosomal recessive inheritance. ° Pearl Type 2, with a darker melanisation (first occur in 2017) In fact, these results were not expected. What are the Characteristics of the mutation Nero Perla so far? 1. Currently the Nero Perla mutation occurs in the black serie. The markings and striations are reduced to a minimum but are still perceptible in the reduced and dispersed melanin areas lying between the striations. This creates an all in all pearl-grey colour, except the tips of the flight feathers (wings and tail) which have normal dark melanin appearance. 2. A great difference by far from all known melanin mutations and thus a unique feature is the distinctive phenotype of the mutation Nero Perla. 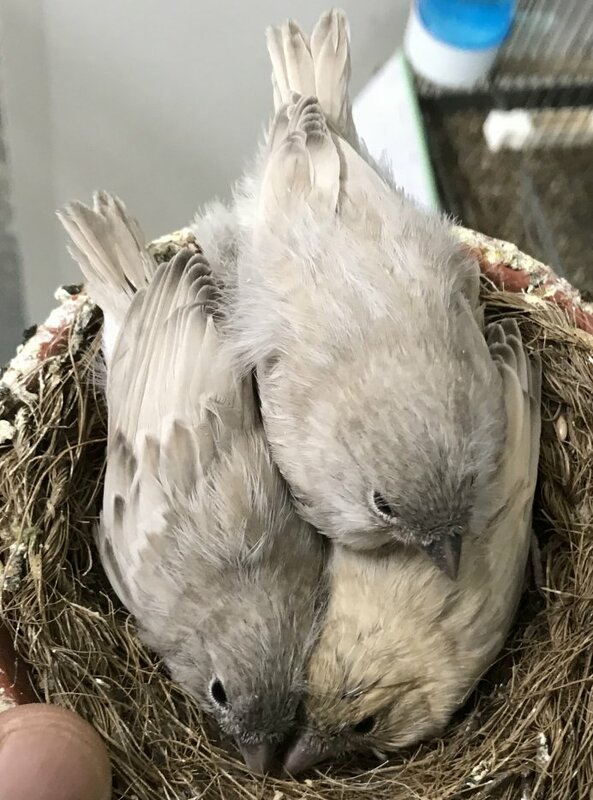 The nestlings have blue eyes, but darken with age. This mean as adult the eyes appear dark. 3. The oxidation of beak and legs are clearly black. 4. The underflue appears grey. 5. A further feature is melanin colouration around the beak, like a mask, yet not determined by sexual dimorphism, such as in mosaic canaries. Currently it is known that there are no intermediates between the Pearl Type 1 and Typ 2. So, the Pearl Type 1 can reproduce a Pearl Type 2. But about the whole inheritance of the Nero Perla mutation further facts and experience must be collected, especially about new the Pearl Type 2. Also the transfer of the mutation is in progress and maybe already in the next breeding season we will see four classic pearl types. As a matter of fact, there is a lot of excitement present and we waiting further reports about the new canary mutation “Nero Perla”. See also earlier on this blog : Nero Perla > Scoperta di una nuova stella ? Realizzazione : Carlo Maria Nobili.